Rebecca Good is the Founding Dean of Relay Connecticut, where she leads educator preparation programs. She believes that aspiring teachers who are provided a rigorous curriculum of theory, practice, and culturally responsive pedagogy can have a dynamic impact on K-12 students. She was a member of the charter corps of Teach For America in Miami-Dade school district, where she was honored as Teacher of the Year in her school and a finalist for the District. She was also a teacher, Dean of Students, and Principal at Elm City College Preparatory Middle School in New Haven, Connecticut. Good earned her BA in Sociology from the University of California, Berkeley, and her MA in Educational Leadership from Teachers College, Columbia University. She is currently a doctoral candidate at the Rossier School of Education, University of Southern California, where she is pursuing an EdD in Global Education. Her research focus is on the role of elected officials in diversifying the teaching workforce. 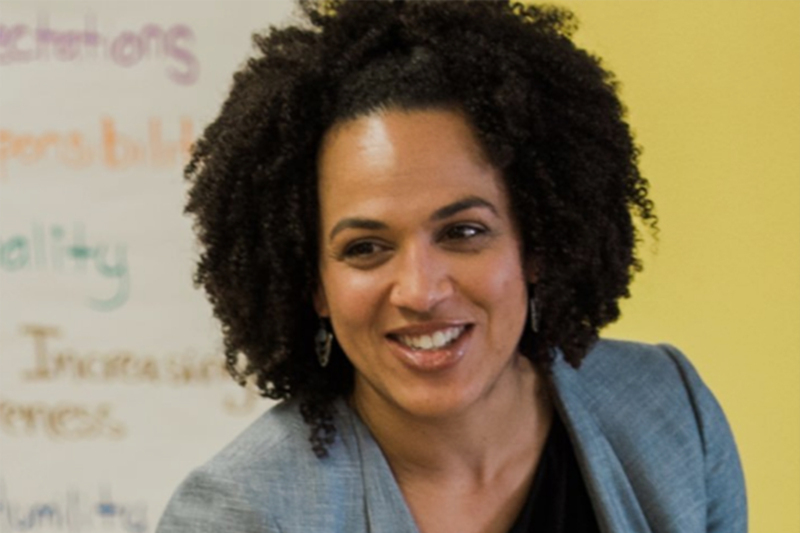 Recently she was appointed by the Connecticut Commissioner of Education to serve on the Connecticut State Department of Education’s Minority Teacher Recruitment Policy Oversight Council.